The dust is just about settling after Apple's media event yesterday. As we pick through the pieces of information from the keynote, there were a couple of things that were mentioned regarding CarPlay. Apple CEO Tim Cook, talked about CarPlay in his introductory comments and announced that as of now, every major car brand has committed to delivering software to customers. "CarPlay is changing the way that we use iPhone in our car. And I'm pleased to announce today, now every major car brand has committed to delivering CarPlay. And there will be more than 40 new models of cars shipping by the end of this year, only a year after we announced CarPlay. It's unbelievable momentum." 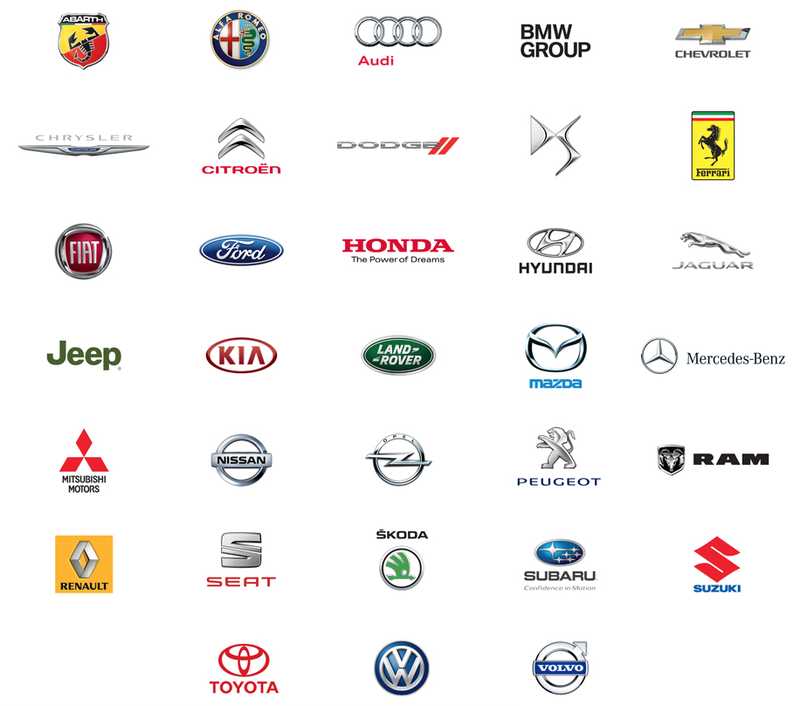 There are 33 manufacturers in all - Abarth, Alfa Romeo, Audi, BMW, Chevrolet, Chrysler, Citroen, Dodge, Citroen DS, Ferrari, Fiat, Ford, Honda, Hyundai, Jaguar, Jeep, KIA, Land Rover, Mazda, Mercedes-Benz, Mitsubishi, Nissan, Opel, Peugeot, Ram, Renault, Seat, Skoda, Subaru, Suzuki, Toyota, Volkswagen and Volvo. Any logos missing? There was no mention or even any hints (obviously) about a possible Apple Car even though rumors have gathered traction over the last few weeks. On the CarPlay webpage, Apple mentions only Alpine and Pioneer as aftermarket partners even though the likes of Parrot and JVC Kenwood showcased their CarPlay head units at CES earlier this year. Those devices, however, are not yet available for purchase. Seems like offering Apple CarPlay (and Google Android Auto) will soon become a standard feature in most cars.